BEAUTIFUL IRVING PARK NEIGHBORHOOD. SUN FILLED GARDEN THE SIZE OF MOST 2 BEDROOM CONDOS. 9.5&apos;&apos; FT CEILINGS, EXPOSED BRICK, HARDWOOD FLRS THRU OUT. KITCHEN-MAPLE CABINETS, GRANITE AND STAINLESS STEEL APPLIANCES. BATHROOM-GRANITE WITH JACUZZI. IN UNIT WASHER AND DRYER. LOADS OF CLOSET SPACE. DEDICATED OUTSIDE SPACE AND STORAGE CLOSET. 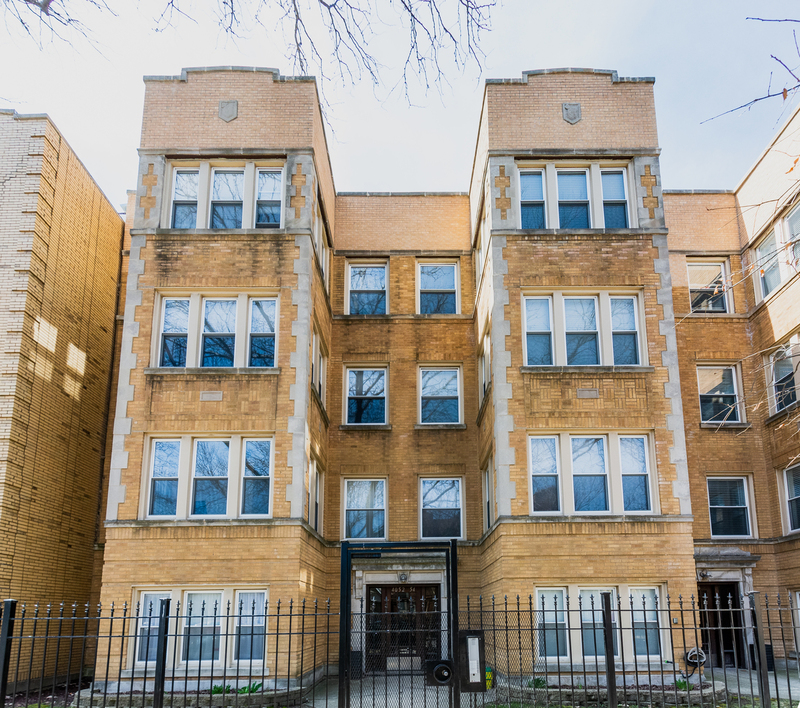 CLASSIC CHICAGO 19 UNIT BUILDING. WALK TO CTA BROWN LINE, HORNER PARK, CHICAGO RIVER. JUST A BLOCK AWAY FROM THE MANY RESTAURANTS AND BARS ALONG IRVING PARK. STRONG CONDO ASSOCIATION, HAS $40,000 IN RESERVES WITH NO SPECIAL ASSESSMENTS PLANNED. CONDO CAN BE RENTED/LEASED AFTER OWNER OCCUPIED FOR ONE YEAR-NO MORE THAN FOUR UNITS MAY BE LEASED/RENTED AT ONE TIME.